Welcoming Megan Gurnett to the FutureBeef team! During April, FutureBeef welcomed Megan Gurnett to our team of beef extension officers. Megan comes from a beef property 70km west of Charleville and has recently completed a double degree in Agribusiness and Applied Science at the University of Queensland, Gatton campus. 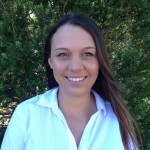 Megan will be based in Toowoomba, and will play an integral role in supporting the delivery of the Grazing BMP extension activities in the Burnett Mary and SEQ river catchments. The Grazing BMP program supports graziers to identify opportunities to improve profitability and to develop a plan to improve business performance. Megan is passionate about the grazing industry and is looking forward to working with, and supporting graziers through the Grazing BMP program. FutureBeef is a joint initiative between the Department of Agriculture and Fisheries, the Northern Territory Department of Primary Industry and Fisheries, the Western Australia Department of Agriculture and Food, and Meat & Livestock Australia. FutureBeef along with program partners, the Fitzroy Basin Association, DAF and AgForce, are delivering the Grazing BMP program to the grazing industry throughout Queensland. You can contact Megan on 07 4688 1411 or email megan.gurnett@daf.qld.gov.au.